It is important to promote brand consistency throughout your organization. 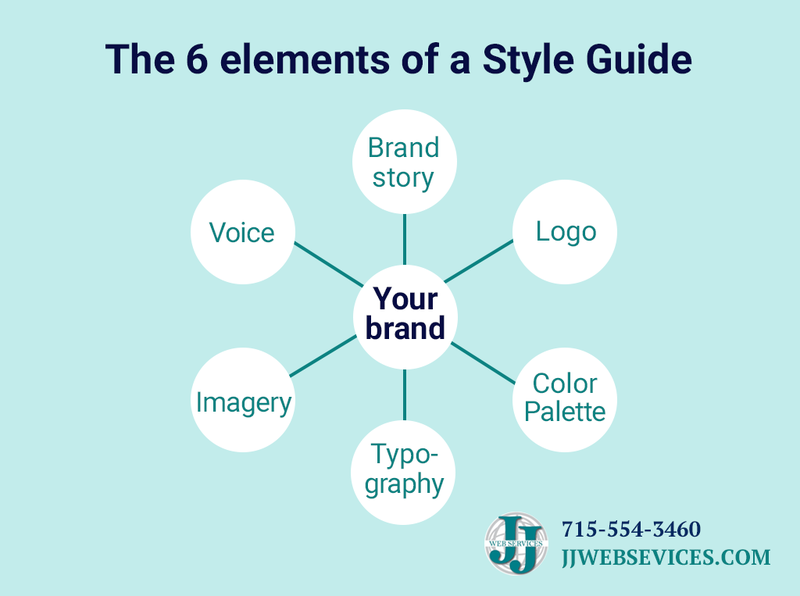 JJ Web Services can work with you to create a Style Guide based on your current assets and website styles! Promotes legitimacy and respect for your company. Gives the JJ Web Services team a guide when implementing any design on the site and when creating high-value content. Gives your team a guide when implementing any design tasks in the future. What will the Style Guide consist of? Brand Story. A simple summary will give people insight into the heart and soul of your company. Logo. Whether you need a logo created or already have one, we will make sure that you have a high resolution vector logo that speaks to your brand story. Color palette. We will choose a main color and several secondary colors that don’t stray too far from the hues of your logo. Typography. We will decide if one typeface family will meet your needs or if a secondary font is needed too. Imagery. We will put together an image library of stock photos that represent your company and your audience to use on your website and other collateral. Voice. It is good to identify a writing style. We will choose 3-5 adjectives that describe your brand personality. We will also pick words you like and words you don’t to clearly demonstrate what your brand voice is. Once the Style Guide is created, you will have a solid foundation to work from! A strong brand tells your community why they should choose you over your competitors, and is an invaluable document for you and your team.